Get ready to score some points with fans and players. 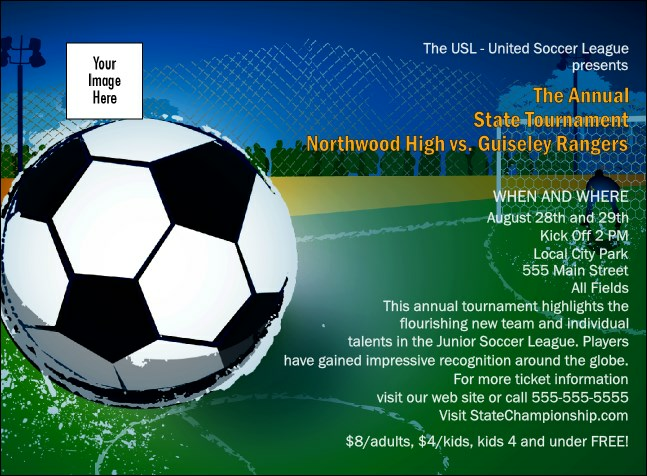 Make your them feel welcome at your next event with the Soccer Invitation. Printed on high quality card stock, the invitation template features the colorful image of a soccer ball being kicked down the field for a winning goal while fans cheer on from the stands. Announce a great match with matching promotional materials from TicketPrinting.com.